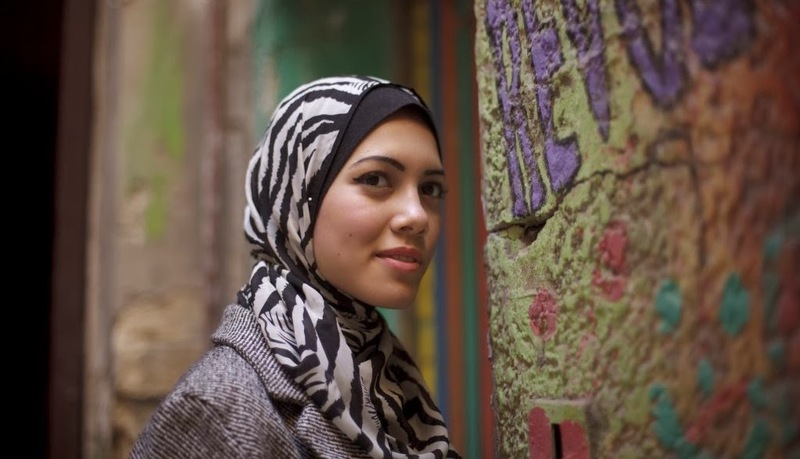 I’m not muslim, but I wear a scarf when I am in Egypt. I do so because I feel comfortable in it and if I don’t I feel exposed. I suspect a lot of women feel that way, including many muslim women who may choose not to wear a scarf if living for a long period in a place where scarfs were less ubiquitous. So for all the scarf is associated with religion, and highly religious women will wear it for that reason, many wear it out of cultural expections. The idea that I would be refused entry to somewhere because I was wearing something that was associated with religion is clear discrimination. What is so threatening about a scarf that it cannot be tolerated within an establishment. This is an issues of class, Women wearing Hejab represent the lower class of the society.. Dress codes are allowed all over the world. You can’t go into the Ritz hotel in London without a jacket and Ascot without a hat. If you want to go into a bar in Egypt, take off the scarf. What annoys me is how groundless their reasons behind this are, “حافظ مش فاهم” as we’d call it here in egypt. See, I would understand banning Hijab at a nightclub for instance, but not simply in all alcohol-serving hangout places. Nightclubs have been known to show discrimination, worldwide actually, because a need to maintain a certain image, though this concept is highly arguable. However bars and pubs, by western standard, are more casual hangout places, people go for talks over food and drinks and therefore it does not make sense to dress-code them. -This is about discrimination for a basic human right (to be whoever you want to be). It is therefore not only pointless but stupid to argue that why would a women wearing hijab want to go benefit alcohol serving communities. Reading the comments is kinda sad. Arguing the set of codes that society puts for what or who a religious person is… what is the point of that?There is no set of codes. A women is religious and wants to wear hijab and still wants to hangout at an alcohol serving place, so be it! Someone non religious but wearing hijab so be it. Someone religious and not wearing hijab SO BE IT! Label these people whatever you want, even hypocrites if you want to, satisfy your inner judging to feel superior needs and then shut up and this is as far as you go. whoever they as people are, if they agree to sitting in an alcohol serving place and they have the right to do that. -Even private business abide by code and protocol, just because someone owns a private business doesn’t mean he has a given right to make ‘any’ rules he feels like it. There are international Equality acts and clauses that protect people from such idiocy, and all “high-end” western-copying businesses in egypt should be first to be under such laws. Simply the ppl drinking do not feel comfy with someone they are used to judge them around while they r drinking. It harms the place business because she will not drink which is the most profitable thing for the place and drinkers will not go because they don’t like religious ppl around. I dont really see the relevence! who says that they are surely going to judge everyone around! I dont believe the “uptight judging type” would go to these places to start with, so in other words you are “safe” from the judging thing! plus its a club for crying out loud, its dark and loud and lots of people are there, surely a scarf wearing girl (even if she is judging) wont matter to anyone! When a woman will be allowed to enter a mosque without wearing a veil, I will fully support a woman entering a bar with a veil. Totally different point as you surely cannot compare a mosque (which is a holy sacred place) to a club!! I dont think anyone can be as shallow and pointless as you just happen to be! simply if a girl wants to enter a bar she is quiet awar that its a place were people hed to hook up with girls so there is no reason to cover her beauty . I wonder what would happen if on one friday night – 100 veiled woman of different belief, origin, fashion wear, social class, e.t.c stand in line to enter the “establishment”. I wonder what would happen – and then I ask again is it a matter of religion? because it should not. This guy clearly doesn’t know what he’s talking about. First hijab is in its self a discriminative act and by discriminative I mean the following: first If a women is wearing Hijab then she belongs to a certain group in the community, that have ideas of how to go along and live life,and these ideas involve being a Muslim and that Alcohol, dancing and singing is forbidden. whether she does dance, sing or drink is a different matter the important thing is what your group, that you have clearly shown that you are a part of, think. This group contradicts the community in a night club who will be drinking, singing and dancing all night, some of their beliefs might be very similar to the ones of the women wearing hijab but this is irrelevant because their belifs have no impact on the way they want to go on and live life, unlike a women wearing hijab who’s beliefs have a huge impact of how to go on and live life, if not she wouldn’t have worn hijab. Therefore the ban of hijab women I think is right and doing them a huge favour by saying to their faces your group forbids everything that is in this place why are you coming in here ? If you want to come in then you need to adjust your beliefs to the way you want to go along and live life. Finally, if your saying that disallowing hijab women to enter a certain place is discriminative just because they are wearing hijab then let me ask you this, would it be discriminative if a woman not wearing hijab was disallowed from entered a mosque to pray Friday prayers ? This is not ‘all bars’. This applies to mainly fancy, stuck up, zamalek bars. This is an issues of class, not religion. In downtown for example it is not strange to find women wearing the hijab in bars and no one says anything, it’s normal. As an owner of an establishment, it is your right to refuse entry / service to whomever you please. If people don’t like it, simply avoid going to that establishment. The owner has just as much freedom to deny, as those who wish to come in have to chose which place to frequent. Just ask the owners of Jazz club, who will frequently deny entrance to people that don’t ‘look right’. Do you see them complaining? No. Stop turning this into a religious issue ffs. If we agreopinion then okay our they have the right for instance to refuse the entrance of black people which is very pathetic and racial but it’s Ok because it’s their place isn’t it? Let me counter-argue your points in an organized manner.. Being a Muslim is not like being, say, white. It’s not something you are or you aren’t, simply. You can be a Muslim, technically, but not a practising one. There are..levels of being a Muslim. One of them – actually one of the highest – is being able to abide to the Muslim dress code – in this case, a head scarf for the women. If you are *that* religious, entering a bar after 6pm (when, as the bar had stated, serving alcohol and dancing commences), should not be something you would want to do. Meanwhile, if you are only superficially abiding to the dress code, or wearing it for “cultural reasons”, and going into a bar is really that important to you, then you can just take off the head scarf that so obviously prevents you from living the life you want for yourself. YOUR argument is flawed; the dress code IS the lack of the head scarf. There is no law that says dress codes should only be casual, semi-casual, formal or cocktail only. It’s their business and they’re allowed to enforce a dress code however they want it. If they say you can only enter the bar with two braids and a coconut in your hand, it’s not discrimination against those with hands too small to hold a coconut. Actually, in a technical sense it is exactly the same. If you followed a cult that forced you to wear shorts at all times, would it be discrimination against said cult? The only difference is that there are a lot of super sensitive “Muslims” who want to be able to do whatever the hell they want even if it’s against the will of the owners of a PRIVATE business. That is true and correct. However, the business is allowed to choose its clients according to whatever demographic they see fit. If their target demographic is not-so-religious people who WOULD actually drink and dance and benefit the bar both financially and through their similar connections, then so be it. Their main purpose, after 6pm especially, is to serve alcohol. Why the hell would they allow in people they know wouldn’t drink any alcohol? Crowd the place up just for the heck of it? And if those hijabis are going to drink, then why the hell are they wearing a hijab? And if they are somehow convinced that both arguments are irrelevant then they belong to a VERY SLIM MARGIN that would both wear the hijab and drink alcohol and in which case, they have to abide to the rules that concern the majority. Mingle outside the private business that cares for its profit and non-religious, “free” image. The business owner cannot in fact tell her what she can or cannot do. But he can prevent her from going into his own business, that he pays for and makes money from. Should everyone be allowed everywhere regardless of the rules of this place? She has the right to move around and go anywhere, right? How is this a crackdown on her right to freedom of movement? It is not a PUBLIC place that she was banned from, it is a PRIVATE BUSINESS. Why can’t you grasp the difference? They’re not protecting her oh so pure self from sins, they’re maintaining a certain client demographic and certain advertisable image. To conclude, there are many places – like certain restaurants and hotels – that serve alcohol and allow all types of people in regardless of their belief or what they wear, because their MAIN purpose is NOT to serve alcohol, it just comes as an extra. If you’re very religious you wouldn’t enter those places because they serve alcohol, though, but it is up to you because you do fit their client demographic either way (wants to eat/wants to rent a room/etc). But in a bar, their optimal client demographic is people who do drink and do like to be surrounded by that crowd. They have every right to ban you from entering if they think you do not fit their demographic/wanted category. To Mariam – chapeau!! Well put and nothing more to ad! I could not possibly agree more with your comment. Unfortunately, it has become a trend in Egypt where people try to play the victim as much as possible in social situations. 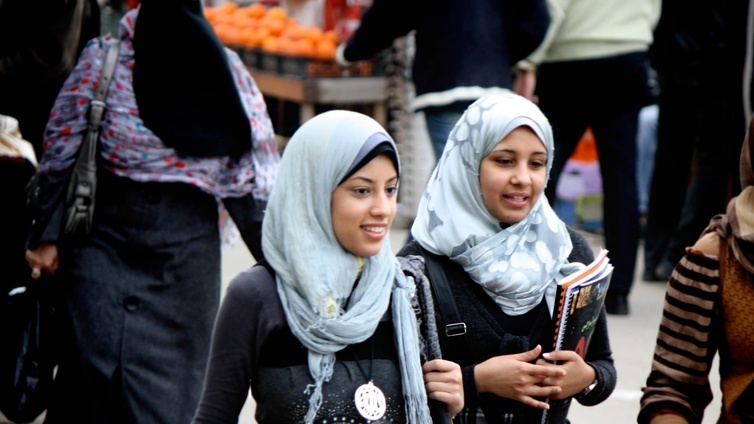 Although it is a woman’s right to wear a hijab for whatever reason she wants it is also the right of the owner to target a certain demographic and the owner is not wrong to assume that a hijabi woman is supposed to represent a high level of religiousness since this, by definition, the purpose of the hijab and surrounding yourself with alcohol is, in the Islamic code, one of the greatest sins. Thus, it makes absolutely no sense that a supposedly ‘religious’ woman would put herself in this situation. Otherwise, like you said, if she is not ‘religious’ and the hijab is merely a fashion, or cultural statement then if going to a bar is that important to her lifestyle she should merely take it off as it obviously has no religious significance to her. If I am an owner of the bar, I pay for the rent, workers salaries, and all other costs, that means that it is MY PLACE and I can decide who will enter the place. Yes, close all pubs, ban alcohol, and you will be seeing tourists only in tv.